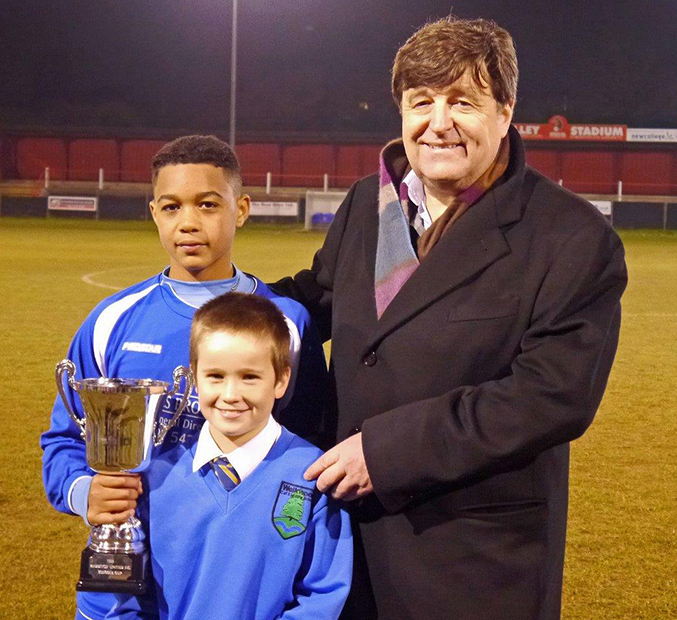 In his role as chairman of Redditch United F.C. Chris was more than happy to get involved with the recent Schools’ Year 8 Cup Final at the Valley Stadium. Walkwood were the victors in a hard-fought 1-0 match against St. Bedes, following a goal by Callum Hall in the first half. Chris presented the trophy to Walkwood’s injured captain Liam Clee and Charlie Neath. Congratulations to both teams on a great performance, and thanks for friends and family members for coming along to give the boys support.